Bad news for smokers; smoking will not be allowed indoors at Thai airports anymore. 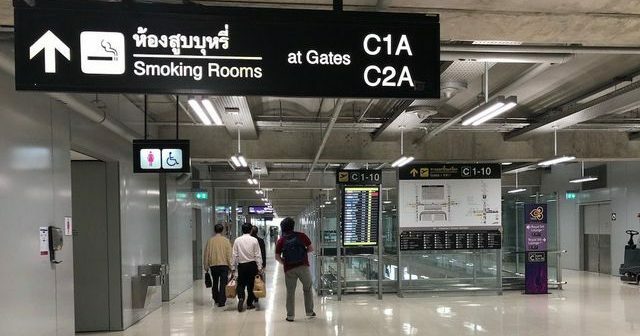 Smokers won’t be able to smoke in the ‘Smoking Rooms’ at Suvarnabhumi, Don Mueang, Phuket, Chiang Mai, Had Yai and Chiang Rai airports any longer. Offenders caught smoking in an airport will be fined B5,000.